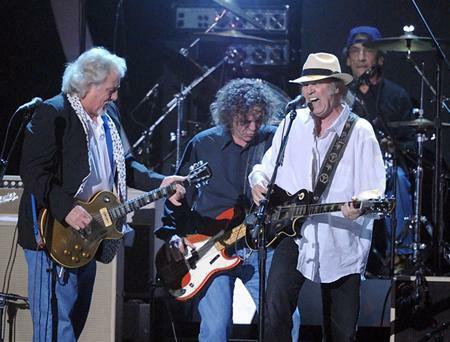 Neil Young & Crazy Horse embark on a lengthy North American tour this Fall, after their two-night stand at Red Rocks. They will be supported by Los Lobos and Patti Smith.. Tickets sales, starting on June 8, includes a free copy of the new album Americana. One dollar from each ticket sold will benefit The Bridge School.